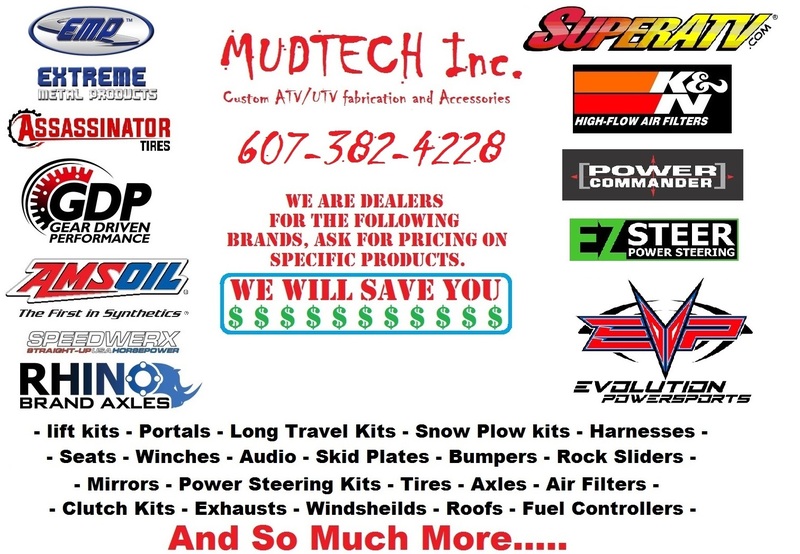 MUDTECHinc Custom ATV Fabrication - Lift is Good! 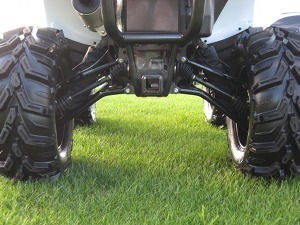 Arctic Cat Arched Lower A-arms!!!! Get that custom look with out the big lift. Arched lower A-arms give your bike added clearance in the rutts along with correcting ball joint angles and wheel camber. These can be ran with no lift, 1.5" or 2.5" lifts. Call now to order, these come powder coated to customer specified color. Price is $700 plus shipping. Call Nick @ (607)382-4228 to place your order. Fabrication/Delivery time is 3-4weeks. 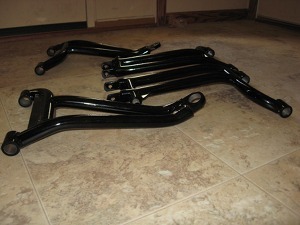 All Parts fabricated by MUDTECHinc have a lifetime warranty against bending or breaking. 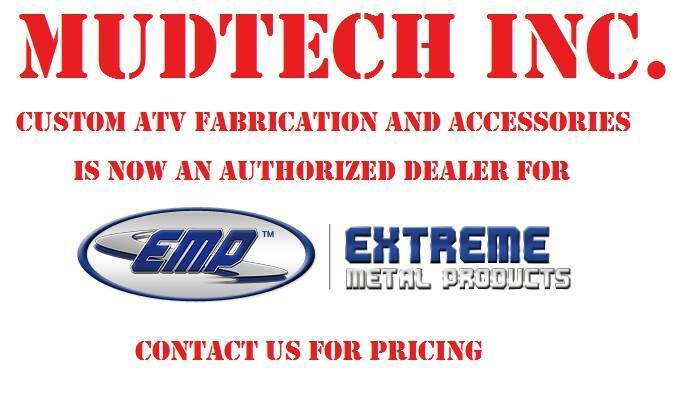 MUDTECHinc is not responsible for any damage of any kind from these kits or custom installs. 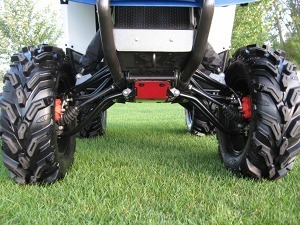 As the buyer of our products you are accepting the risks involved with operating modified ATVs. Ride responsibly and at your own risk, damage by going into deep water, mud, or any other obstacles will NOT BE THE RESPONSIBILITY OF MUDTECHinc.